If there is no reception, how can I get it? Adjust the antenna on the back of the unit this will reduce the interference. Also try to move the unit to a different part of the room. AroundSound is a speaker design and configuration which utilizes a custom designed driver that faces upward to create a listening environment with any dead spaces in the sound. Try moving the unit within your house so it can be closer to a window. Also try adjusting the wire ariel antenna. If this does not help, contact our Crosley Technical Support team at 1-866-CROSLEY(276-7539). I do not like the item that I purchased. Can I get a refund from you or exchange it for a different model? Crosley can only refund items purchased directly through us. We also can not exchange an item for a different model. If you need a refund, contact the retailer from whom you purchased the item. I have lost my power adapter, what do I do now? To order a replacement AC Adaptor, contact our Crosley Technical Support department at 1-866-CROSLEY(276-7539). Can I connect external speakers to this unit? Many of our models have outputs that allow you to connect speakers using either RCA jacks or a 3.5mm PAR connector. Please note, though, that the output level on those connectors is a line level 5 watts. In order to power large speakers, you will need to use an external amplifier. Where is the warranty information? Please look at the last page of your owner's manual. I have a broken or damaged part, who should I contact? If a product is discontinued, do you still offer tech support? In many cases we do, however, there may be situations where we are no longer able to repair or replace a discontinued unit. For additional information, contact Crosley Technical Support at 1-866-CROSLEY(276-7539). I did not get an instruction manual, can I get one? We can either email you an instruction manual or mail you one. 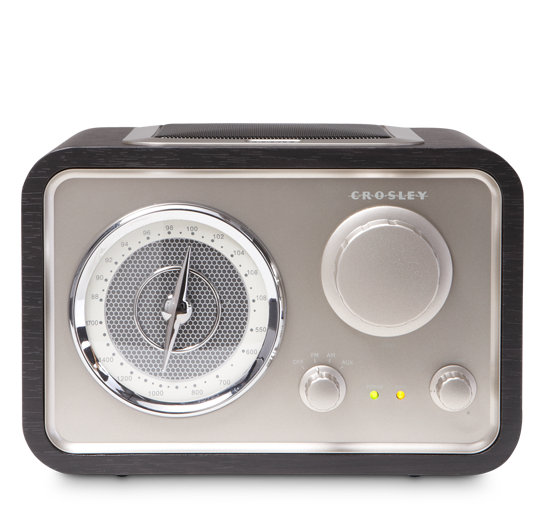 Simply call Crosley Technical Support at 1-866-CROSLEY(276-7539).